School TV Part 3 December 2013 from SchoolTV on Vimeo. I was a year four! \Guess what? This week it is Samoan Language Week. Point England School is celebrating the Samoan language week by learning new words each day on our P.E.N.N. There are a lot of Samoan people in Auckland that know how to speak their Samoan language. 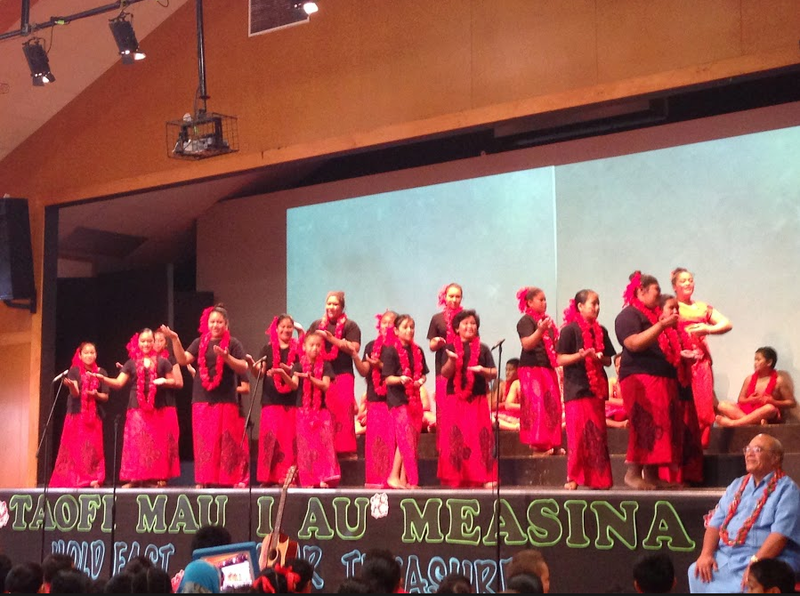 Yesterday we had a special assembly just for Samoan Language. 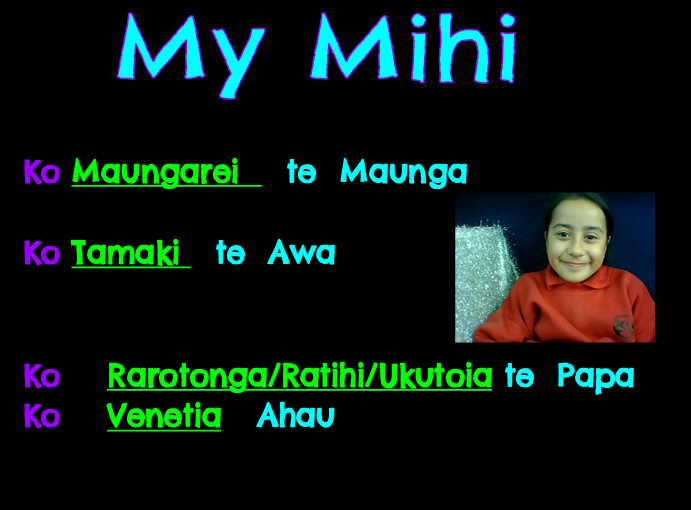 We practiced some words like “ Taofi mau i au measina”. Which means hold fast to your treasures. This is the 2014 theme for Samoan Language week. Did you know that Samoan language is the 2nd most spoken language in Auckland. Our school FiaFia Samoan group also performed at our assembly. There performance was so Amazing. They had a cool dance,cool songs and cool everything. We also had some dancers from the Tamaki College Samoan Group as well. They were amazing as well. There performance was so good,everything was so cool. Also we had a performance from Onga Teuila. Onga teuila is the kindy garden at the Tamaki P.I.C.C church. There performance was really cute. I loved their performance. Actually I loved all of them. A long time ago in Syracuse, Ancient Greece, there was a great mathematician named Archimedes. One day when he was taking a bath he discovered something life changing. When he got in some water got displayed and it overflowed over the bath tub. Archimedes’ discovery got him thinking. He was so excited that he ran through the streets without any clothes on shouting Eureka! Eureka! This meant, I have found it in Greek. He figured out that if you put something in water and it is lighter than the amount of water being displaced, the object will float. This is known as buoyancy or the Archimedes principle. So if an object can float it is buoyant. Menu for Malawi and New Zealand! This is my Malawi Menu. New Zealand people would have steak and mash potato. Today I am comparing New Zealand food to Malawi food. I have one Malawi menu and one New Zealand menu. If you read the menus, you will see what kind of food we have in N.Z and what they have in Malawi. This is my New Zealand menu. If we had a nice toasted sandwich for lunch in Malawi the would most likely have a mice. So here are my two menus. Since I have been learning all about Malawi,I have learnt that they don't have as much as we have in N.Z. I have learnt that Maize is one their most eaten food. Last but not least I have learnt that Malawian people are just like me,but they don't get a big opportunity to pick what they want to eat. A lot of people not just adults, but kids as well have also died because they don't have enough food. We have been reading about a boy who lives in Qui Nhon. His father is a fisherman and they own a basket boat called a thung chai. A thung chai can be used to get fresh air,A Paddle boat and A Fishing boat. This is a Thung Chai boat. In the school holidays I went to the Movies. I went with my Mum and my cousin. We watched Rio 2. We brought a giant bucket of popcorn and a giant drink. We also brought a Ice Cream. “Mum can we play some arcade games” “Yes” said my Mum. When we finally got into the cinema we started watching the ads. Then finally the movie came on. We started to eat the popcorn. “The popcorn is so nice” said my cousin. My favourite character is blue and his kids and wife. 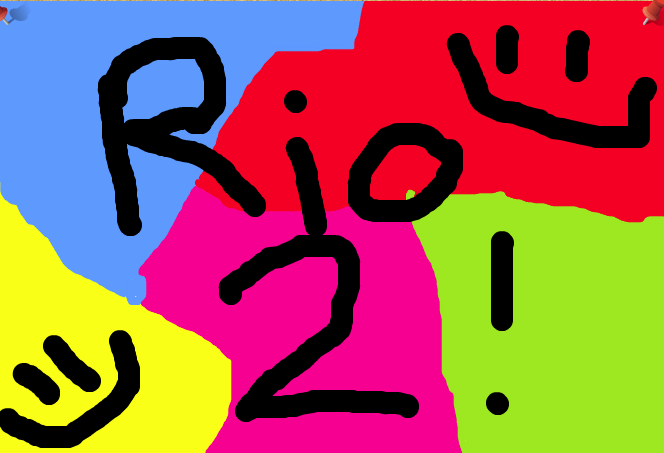 Watching Rio 2 was so fun. The movie was about two hours. When I was watching the movie I nearly fell asleep. Finally the movie finished. I was so tired. After the movie was finished we went back to my aunty's house and ate pizza. “ Mmm the pizza is delicious”.Have you ever been to the movies? Me and my cousins played on the scooters. We made bracelets as well. It was time for me to go. When me and my mum got home. Finally I was home, I jumped into bed and watched Television for awhile and then I went to sleep.